How do you grasp an event as enormous as September 11? At the Smithsonian's National Museum of American History, you start small: A briefcase, a Blackberry, a victim's sweatshirt, and a hero's nametag. Simple objects that tell personal stories, recounted in the donors' own words. 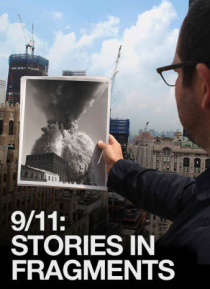 Stories from New York, the Pentagon and Shanksville, PA remind us that the legacy of 9/11 is not fear -- it's friendshi… p, courage, and ordinary people pushed by extraordinary circumstances.